Orkney attractions include a wealth of historic and archaeological sites, museums, artisans and wildlife. 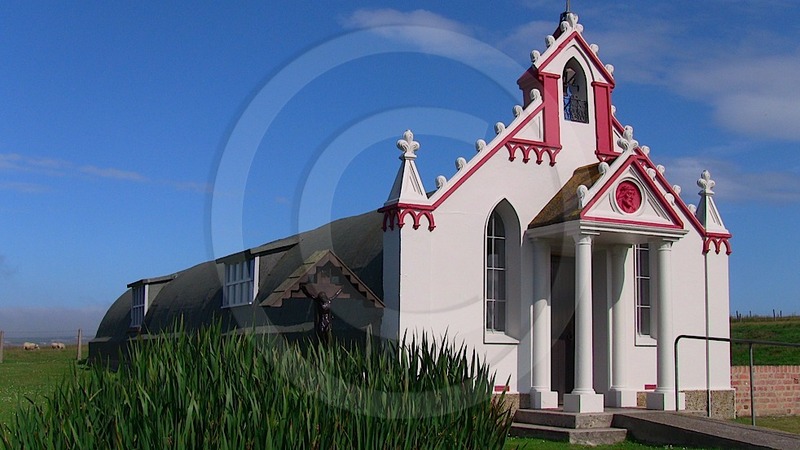 View the stunning Italian Chapel on the southern island of Lamb Holm, the amazing Churchill Barriers linking the southern Orkney islands and the Martello Towers along the coastline. Visit the Orkney Museum in Kirkwall to discover all about Orkney’s Pictish and Viking past and learn about great Orcadians such as explorer Dr. John Rae. Preserved Orkney crofts show a way of life that lasted well into the 19th century. Trace your Orkney ancestry with help from the Orkney Family History Society. The Orkney landscape provides home for a diverse range of animal and plant life. The infamous little Puffin is popular with many bird watchers and seals bask along the shoreline watching your every move. Look out for tiny Eyebright and the native Primula Scotica growing amongst the grass. There is hardly anywhere on Orkney to dig without uncovering some sort of ancient relic. The Orkney islands are rich in Neolithic Brochs, stone circles and Chambered tombs. The famous Skara Brae brings to mind a lifestyle not dissimilar to that of a Hobbit and one can only guess at the kind of activity that took place at the Ring of Brodgar. Galleries, potteries and jewellery makers are dotted around the islands which provide natural inspiration for form and design. To find details of places to visit, organised tours and guides go to the Visit Orkney website.